Have you noticed that courses about starting a business are incredibly expensive? They sure do add up! You’ve been looking to learn about all the business pieces including blogging, having a store, graphic design, and so much more, but geez, who can afford all that. Well, good news! One day I decided I wanted to learn a bunch of stuff about blogging and graphic design without spending thousands of dollars. I was interested in learning from people I’ve heard of, so I looked into Creative Live. There are a ton of educational platforms out there. It’s hard to find ones that are great quality. Creative Live has some great ones and I recommend you subscribe to their yearly membership, which is offered from time to time. It is such a great deal! Essentially for the price of 2-3 classes I get 1500 or so! Creative Live’s approach involves finding the best instructors who then teach a live class that is recorded. Each week they offer free on-air courses, which is awesome because you can try before you buy. (You don’t even have to buy, you can watch for free). What Topics are on Creative Live? Within each of these categories, the topics are broken down even more. They include things like self improvement, business, drawing, Photoshop, cake decorating, jewelry design, etsy shops, calligraphy, time management, and leadership. I could go on and on but wanted to give you a picture of how diverse the class topics are. I purchased a bunch of the classes at Creative Live prior to purchasing my Creator Pass. The Creator Pass is the best deal since you get access to almost everything. If you like learning, this is a great deal. Here are some of the courses I’ve taken and enjoyed. I’ve actually listened to this one twice, it’s that good. Tara teaches how to build a business that stands out in the marketplace. If you’ve ever started a business, you probably realized that many others are doing similar things. You may have even considered not starting your business because of a thought that others have already done it. This course talks about actionable steps to take to grow a business that stands out and attracts your ideal customers. Mel Robbins, the author of the 5 Second Rule, teaches about how to build confidence. She’ll help you tackle negative thoughts and self doubt so you can break past your mental blocks. This was my kind of course because she talks a lot about dealing with imposter syndrome and getting some real confidence. I was impressed with this course and purchased her book. Another good one. 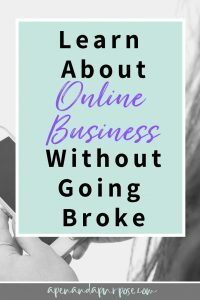 I included the names of the instructors on this one because you may recognize some big names in online business. In this course you learn how to develop a product that sells, how to develop a lead magnet and grow your email list, and skills for online marketing. I liked ideas about coming up with a product idea, driving traffic using webinars, and growing your email list. I loved this course. I didn’t know much about Jeff Goins prior to taking this course other than that he wrote some books. His approach to teaching about writing was approachable and I want to learn more from him in the future for sure. The class talks about mindset changes to make to become a profitable writer. He teaches how to find your writer voice and then the different steps to take to become a full time writer. Highly recommended! I’ve taken other classes on hand lettering, using Photoshop, and selling with an Etsy store. They have all been good. The only ones I haven’t liked are classes that are more on the woo-woo side, but it is pretty easy to identify those 🙂 There aren’t many but I know I ran into one that felt a bit woo-woo. 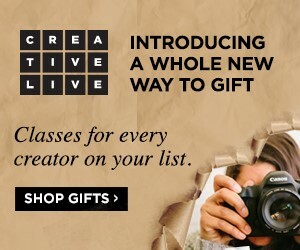 I’m excited to learn more from Creative Live and encourage you to check them out. My top recommendation is the Creator Pass so you have access to all that I mentioned and more. I don’t know how many trainings they have but it is A LOT. One that I am VERY excited about is an upcoming social media course done by Jasmine Starr. She is someone I’ve chosen to follow as a teacher in my own business.